The Passover which we are soon to observe is our annual pilgrimage to Golgotha. A pilgrimage is a journey of great spiritual significance. For us the Passover brings into focus the events which took place when Jesus was crucified and we are moved to silence by the suffering that He endured. The apostle John was a close personal friend of Jesus and one who was right there at Golgotha when his Lord was crucified. 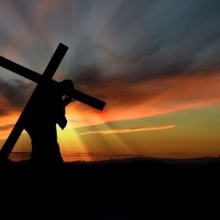 He was an observer of the events surrounding our Lord’s crucifixion and one who watched with great anguish of mind the inhuman suffering and death of his Lord. When he penned the words of Christ’s crucifixion at Golgotha, I am sure he must have been emotionally moved as he recalled the events of that momentous day. 16 Then he (that is, Pilate) delivered Him to them to be crucified. So they took Jesus and led Him away. 17 And He, bearing His cross, went out to a place called the Place of a Skull, which is called in Hebrew, Golgotha, 18 where they crucified Him.... (John 19:16-18) (emphasis added). Golgotha was a site immediately outside the walls of Jerusalem – the Jerusalem of Jesus’ time. It was northwest of Jerusalem and in walking distance of the city walls. Now there was a reason why Jesus was crucified outside the city walls. It goes back to a practice in Old Testament times. 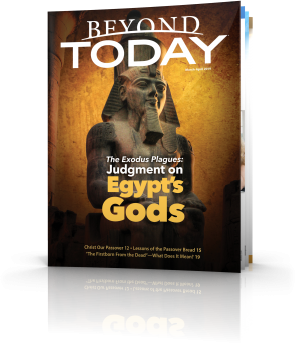 In Leviticus chapter 4 we find instructions for sin offerings in ancient Israel. An animal sacrifice was to be offered if the priest sinned, if the whole congregation of Israel sinned, if a ruler sinned, or if one of the common people sinned. The animal could be a young bullock, a kid of the goats, or a lamb. The blood of the sacrificed animal was placed on the horns of the altar according to a prescribed manner to make atonement for the sin committed. Some other small parts of the animal were burnt on the altar but the main carcass of the animal that remained was taken outside the camp and burnt there. These sacrifices of old time pointed forward to the time when one complete sacrifice for all time would be made for the sins of all mankind. 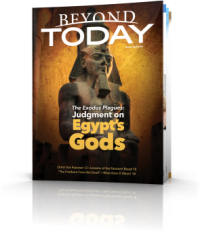 The animal sacrifices of old time was a temporary system to deal with sin in ancient Israel and only a shadow of the real sacrifice that was planned from the foundation of the world. 1 For the law, having a shadow of the good things to come, and not the very image of the things, can never with these same sacrifices, which they offer continually year by year, make those who approach perfect. 2 For then would they not have ceased to be offered? For the worshipers, once purified, would have had no more consciousness of sins. 3 But in those sacrifices there is a reminder of sins every year. 4 For it is not possible that the blood of bulls and goats could take away sins. 5 Therefore, when He came into the world, He said: "Sacrifice and offering You did not desire, But a body You have prepared for Me. 6 In burnt offerings and sacrifices for sin You had no pleasure. 7 Then I said, ‘Behold, I have come - In the volume of the book it is written of Me - To do Your will, O God.’" 8 Previously saying (or as I wrote before) "Sacrifice and offering, burnt offerings, and offerings for sin You did not desire, nor had pleasure in them" (which are offered according to the law), 9 then He said, "Behold, I have come to do Your will, O God." He takes away the first that He may establish the second. 10 By that will we have been sanctified through the offering of the body of Jesus Christ once for all. 11 And every priest stands ministering daily and offering repeatedly the same sacrifices, which can never take away sins. 12 But this Man, after He had offered one sacrifice for sins forever, sat down at the right hand of God...(emphasis added). The sacrificial system of old time which was administered according to the law as dictated by God was for a time only. It pointed to the time when there would be one great sacrifice for sin – that is: God would become a human being and die for the sins, not only of the sins of one nation, but for the sins of the entire world. When an animal was sacrificed for sin, its blood and certain other parts were used in a prescribed manner, but the rest of the animal was taken outside the camp of Israel and burnt. 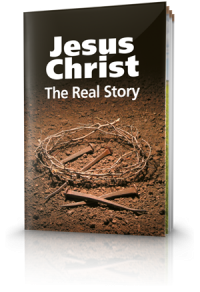 Likewise the One who was the sin offering for all time, Jesus Christ, was taken outside the walls of Jerusalem to a place called Golgotha and there He was crucified. 10 We have an altar from which those who serve the tabernacle have no right to eat. 11 For the bodies of those animals, whose blood is brought into the sanctuary by the high priest for sin, are burned outside the camp. 12 Therefore Jesus also, that He might sanctify the people with His own blood, suffered outside the gate. 13 Therefore let us go forth to Him, outside the camp, bearing His reproach (emphasis added). Each time we keep the Passover we show a willingness to identify with Christ’s suffering and death. We are not ashamed to go with Him, outside the camp, and be associated with His reproach. Not literally, but in heart and mind, we stand with the apostle John at the foot of the cross on which our Saviour was crucified. Without reservation, without sham or pretence, we are saying: I am not afraid to be called a Christian. I am not afraid to be called a follower of Jesus Christ. I am not afraid to be identified with my Lord. I am not afraid to be one of His disciples. The Passover is our annual pilgrimage to Golgatha. Let’s go there and remember the Lord’s death, till He comes (1 Corinthians 11:24-26). 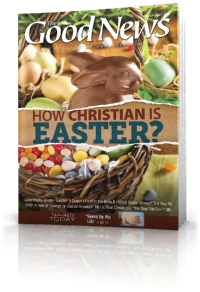 Soon up to 2 billion people will celebrate one of the world's most popular religious holidays—Easter. But curiously, the Bible nowhere promotes such an observance. Where did this day come from? How did it become so popular? And is it even Christian?